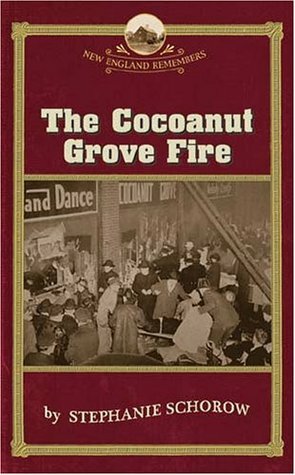 Stephanie Schorow’s excellent Drinking Boston briefly mentioned the tragic Cocoanut Grove fire, an event I had no knowledge about prior to reading. 492 people died in the blaze, and over a hundred were injured. 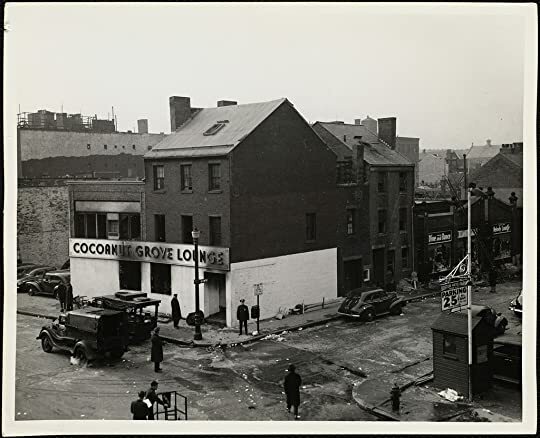 The glamorous Cocoanut Grove nightclub was frequented by couples and families celebrating special occasions, celebrities, servicemen, politicians, and athletes. Famous people were not immune to the horrors of that tragic night of November 28, 1942. 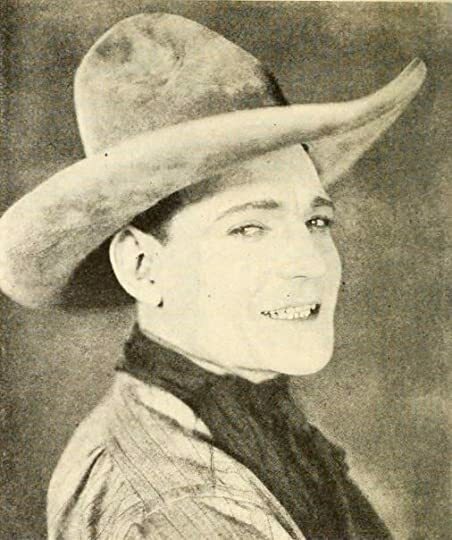 Several members from entertainer Mickey Alpert’s house band perished, along with Buck Jones, a Hollywood cowboy star. Fortunately, the Boston College Eagles suffered a devastating loss to the Holy Cross Crusaders and canceled their victory celebration at the Cocoanut Grove. 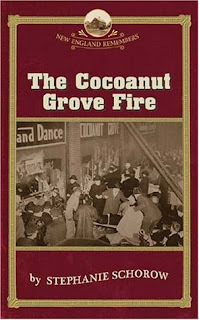 This concise, well-researched and very readable little book provides a history of the nightclub and its owners - first Mickey Alpert, then Charles “King” Solomon, a mob boss who controlled Boston’s bootlegging operations, and finally, his lawyer, Barney Welansky, who used his connections with the Mafia and corrupt city officials to willfully violate the safety standards in existence at the time by overcrowding, blocking side exits to prevent guests from walking out without paying their tabs, using highly flammable decorations throughout the nightclub, hiring unlicensed electricians, and employing minors. Not only does this book provide details about the fire and its aftermath, it also tells the stories of victims and survivors who courageously rescued others from the fire and the firefighters who tirelessly battled the blaze and hauled out hundreds of charred bodies. There was the head cashier who perished for refusing to leave her post and the club’s profits unattended, and other staff members who waited to be rescued and ended up losing their lives. There were numerous reports of cash, wallets, watches and rings stolen from burned and trampled bodies. There were heartbreaking stories of people who survived the fire only to die horrible deaths later on. Boston City Hospital (now Boston Medical Center) and Massachusetts General had their work cut out for them. Though treating extensive burns was their major focus, there were large numbers of patients with severe respiratory problems from inhaling smoke and toxic chemicals, infections, and fluid loss. 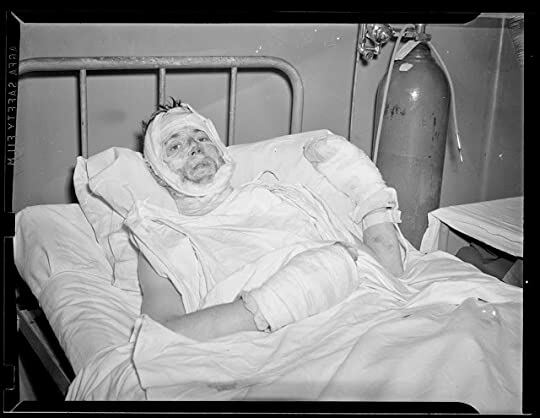 During this time, there were considerable advances in burn treatment, as well as the use of penicillin, which was used by the military and not yet widely available to civilians. It makes me sad to know that greed and corruption is still the order of the day in Boston. Check out http://www.cocoanutgrovefire.org/ for lots more information.